The Law Early Admission Program (LEAP) accelerates admission into Law School for undergraduate students. Washburn undergraduates can apply to enter Washburn’s law school during their last semester of undergraduate work. Admission to law school requires that an applicant score at or near the national average on the Law School Admissions Test (LSAT). The LSAT ranges from a low of 120 to a high of 180 and has a national average of 152. The successful applicant to law school also needs to maintain good grades. The higher the quality of law school applied to, the higher the LSAT required. Law schools generally advise prospective applicants to prepare for the LSAT before taking it and urge prospective law students to pursue a broad undergraduate curriculum rather than a narrow one. While the specific procedure varies from law school to law school, initial admission decisions are based on a statistical index that has each applicants LSAT score and GPA in the formula. The formula places more emphasis on LSAT performance than on GPA. Hence, it is possible to gain acceptance into law school with less than a "B" average (3.0) if the LSAT approaches the upper limit but the reverse is not true. One can almost never gain acceptance to law school with an "A" average (4.0) but an LSAT substantially below 152. Often students pursue the misguided strategy of taking easy courses in order to get good grades. Easy course do not help your mind to think in ways that are tested for on the LSAT. Because scoring well on the LSAT is so important if you want to attend law school, Washburn offers a free diagnostic LSAT in both the fall and spring semesters. Students take a simulated LSAT and receive an individualized consultation session to learn how to improve your score. Washburn is one of only a few colleges in Kansas to compete in the National Mock Trial competition. Mock Trial is good preparation for law school because it sharpens your communication skills, your analytical ability and your ability to solve problems quickly (i.e. to "think on your feet"). Washburn Mock Trial teams have a strong regional and national presence and reputation. Washburn University also sponsors the Prelaw Club. 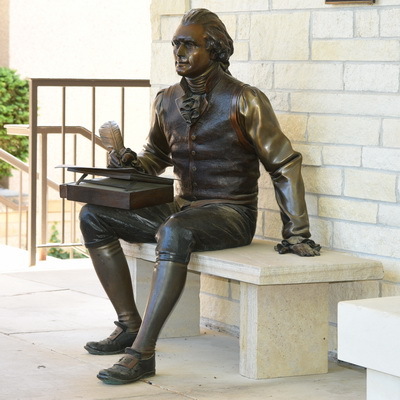 As prelaw students are spread across colleges and departments at Washburn, the Prelaw Club is the only vehicle for all students interested in prelaw to meet. Contact the Political Science Department or the Pre-Law Coordinator Dr. Steve Cann.